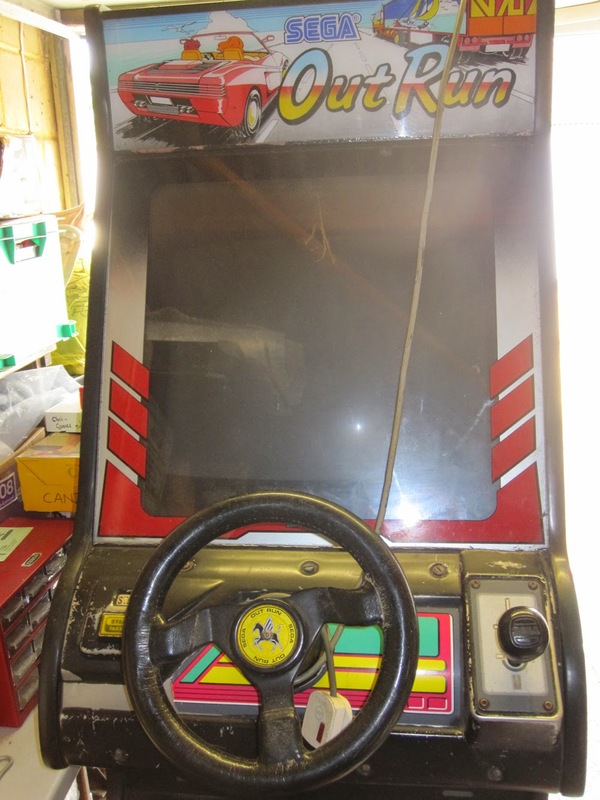 Back in 1997, I bought an OutRun Mini cabinet. It cost £200 and had been in use in a youth club. It worked, but had been well used and seen better days. When I left London and headed to university in 1999 the cabinet remained in my parent's garage. It's resided there for the past 15 years gathering dust. 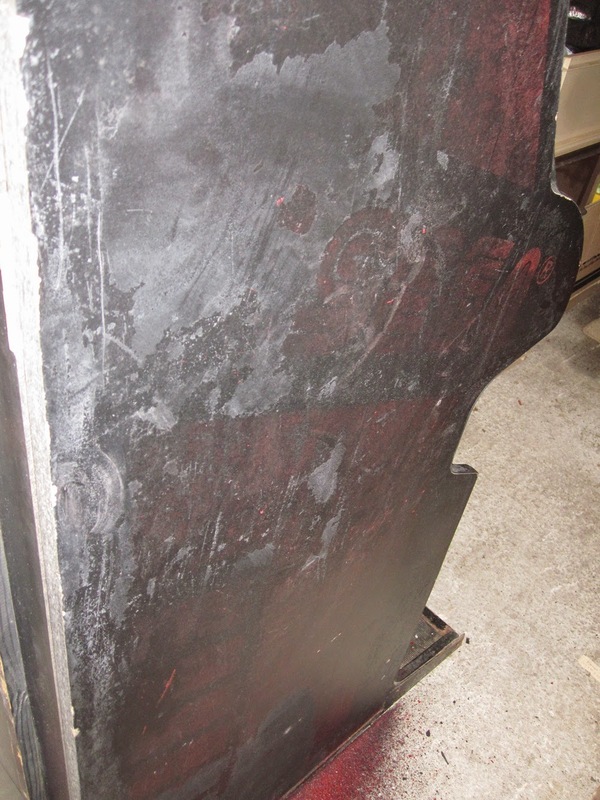 Most of the cabinet was unwisely painted black at some point and the red side art covered. The black paint had started to flake off, taking the red stencilled side art with it; it looked pretty awful as you can see below. I got in touch with a chap called Rudy who has reproduced the side art. This is in the post and will serve as a nice motivational reminder of the way things should be. The control panel has also been painted black, the sticker ripped and the start button replaced. Everything works fine however. 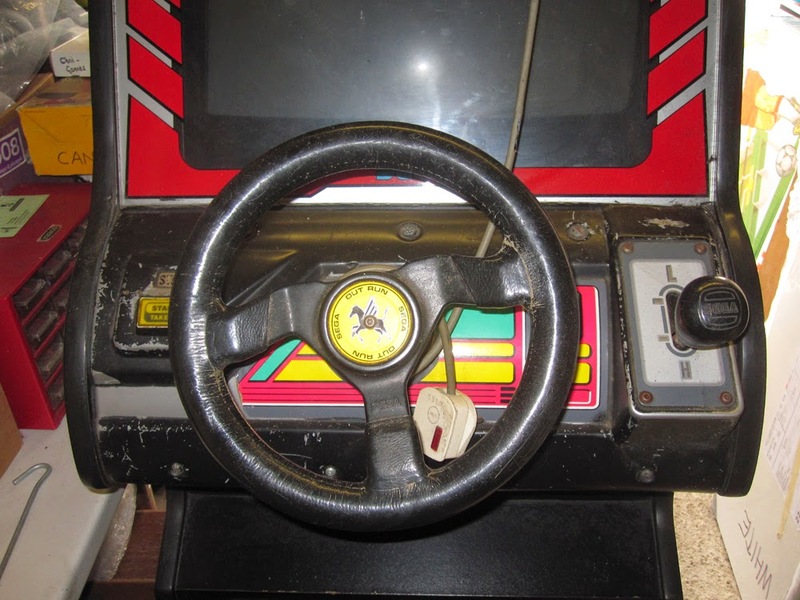 There are no broken cogs and the original OutRun steering wheel emblem is present. 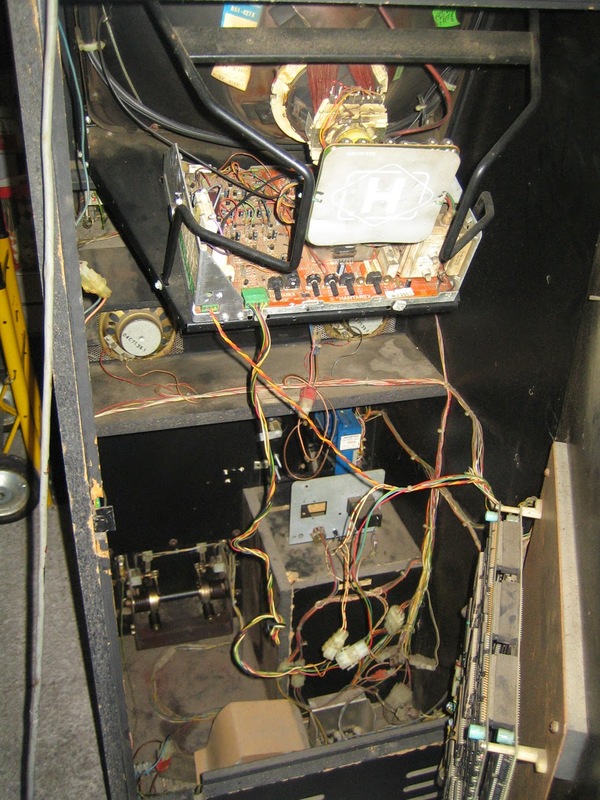 I have a replacement control panel in great condition, so I have a few options here for the restoration, so it should be one of the easier parts to get right. Some of the chipboard is in particularly poor condition at the base of the cabinet. The insides of the cabinet are dusty, but thankfully not rusty. I was quite concerned that storing the cabinet in a drafty garage for 15 years would have caused more obvious problems. 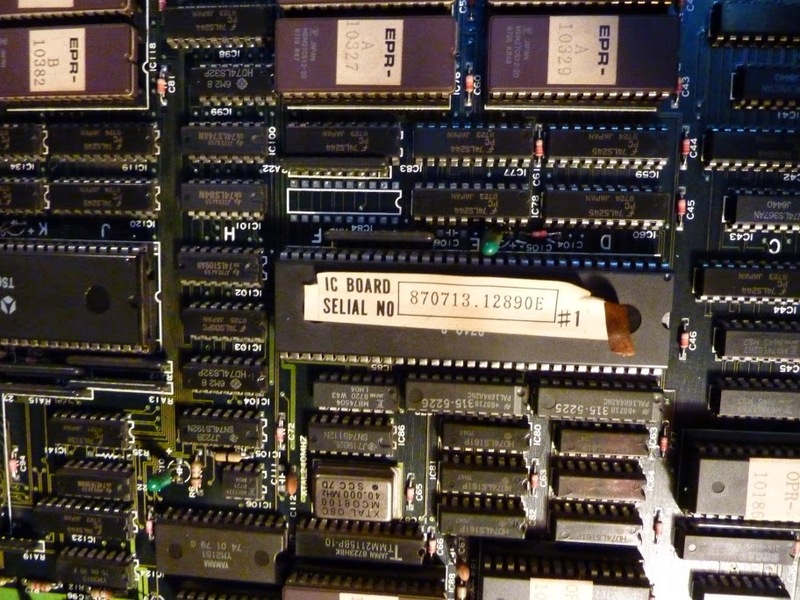 Even the PCB shows no obvious signs of corrosion which is pleasing. I doubt it still works, but I will check it in my test harness at some point. The bottom interior of the cabinet is filthy. As a bonus, I found 20p amongst the dust. Evidence below. It's nice to find out when the cabinet was born; 22nd July 1987. It was last serviced in 1996, a year before I bought it. There's a lengthy task ahead, and I will be stripping the cabinet down for a full refurbishment over the coming months. Hopefully I can restore this cabinet to its former glory and learn something along the way. 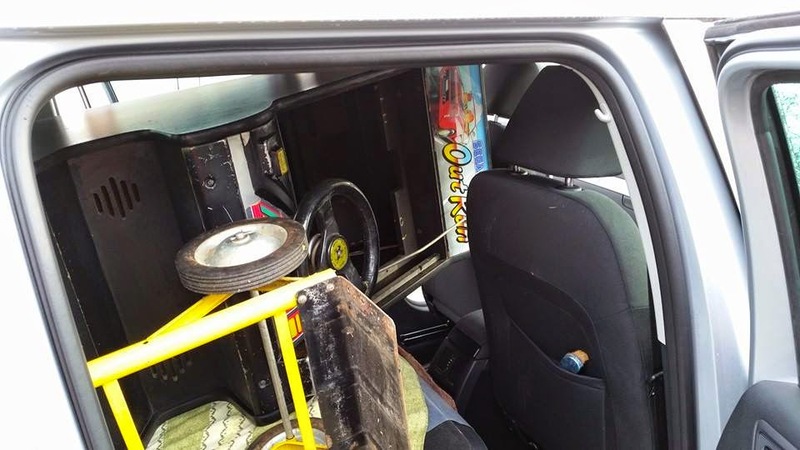 Hi, I really need that sideart for my outrun mini. Can you please send me a contact? Or reach out to me and I can provide my contact information. 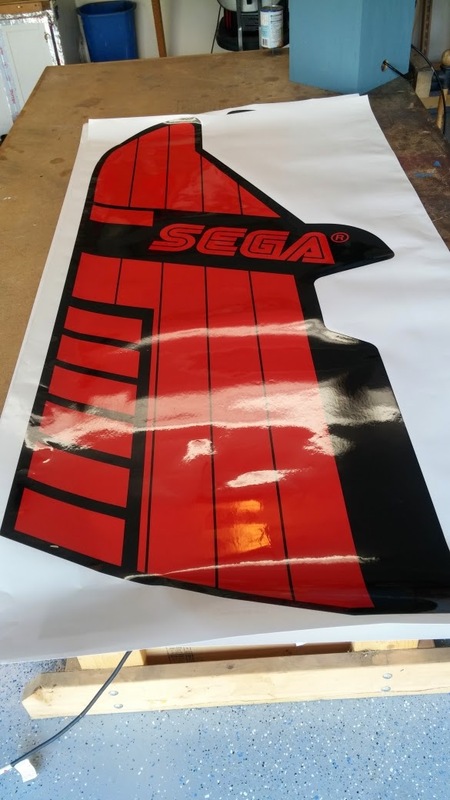 Sideart came from a chap called Rudy Benvin who I contacted via a US forum. I can't remember what the forum was now. I would try contacting someone like muddymusic on UKVAC if you're based in the UK.